Eclectic Sound Bytes: Bruce Springsteen And The E Street Band Tour 2012. 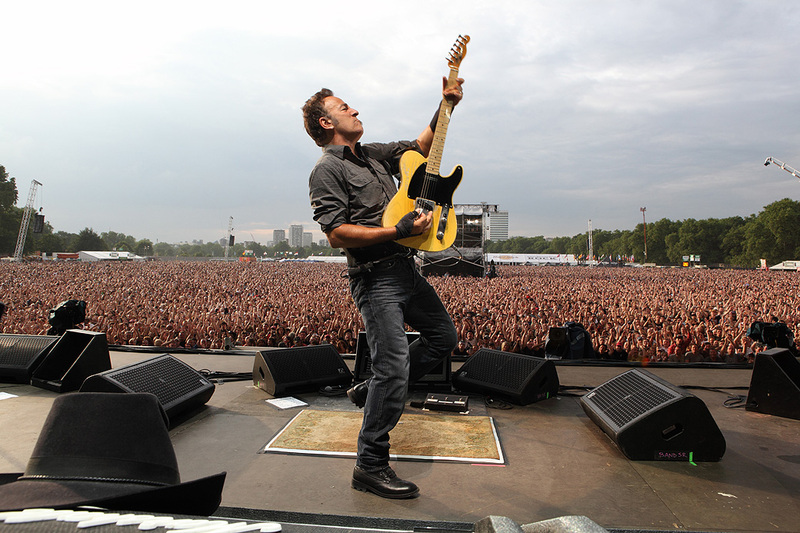 Bruce Springsteen And The E Street Band Tour 2012. Much to many people's delight The 'Boss' himself Bruce Springsteen will again embark on an extensive European tour with The E Street Band between May and July of next year. Already 29 dates have been confirmed with a possibility of more being added. The latest update reveals that so far all 5 Scandinavian dates have quickly sold out. Today the tickets go on sale for the July 17th Dublin show at the RDS, a second date will no doubt be imminent. In fact such is the interest for Bruce Springsteen in Ireland that 2 shows wont justify the demand. There is nothing like experiencing Springsteen play live. I've seen him perform 4 times and each concert had me completely entranced for every minute he spent onstage. He is the ultimate Rock performer and at 62 years old, he has no intention to resign his position as 'Boss' and often puts young imitators to shame. Earlier this year the death of E Street saxophone player Clarence Clemons was one of the biggest shocks any fan could handle. His contribution to Springsteen's sound was the backbone of this extaordinary New Jersey union. His absence on next years tour will be no doubt an unmistakable void to the band , however no doubt each show will highlight his memory with intensity. He is sorely missed by so many who grew up with the music and a career that spanned almost four full decades.
" I can't promise you life everlasting...but I can promise you life...right now!" is often one of Springsteen's proclaims onstage and he means ever word.